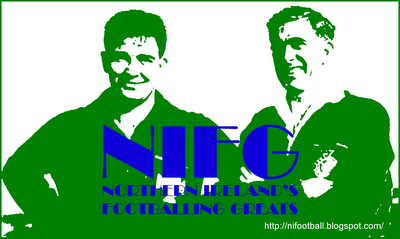 Representative Honours: Ireland: 1 Full Cap (1937); Irish Free State: 1 Full Cap / 1 Goal (1936); League of Ireland: 2 Caps. Club Honours: (with Cork) FAI Cup Runner-Up 1935/36; (with Cork United) League of Ireland Champion 1940/41, 1941/42, 1942/43, 1944/45, 1945/46; FAI Cup Winner 1940/41, 1946/47; Runner-Up 1941/42, 1942/43; League of Ireland Shield Winner. A goalscoring phenomenon in the League of Ireland, Owen Madden was controversially “poached” by Norwich City in May 1936. His move across the Irish Sea came shortly after he had won his first international cap, scoring from inside-left, as the Irish Free State drew 3-3 with Hungary in Budapest. His time with the Canaries was split between inside and outside-left, and it was in the latter role that he won his only recognition from the Irish FA, in a 5-1 defeat by England in October 1937. Although he was unable to make a significant impact on the Second Division with Norwich, Birmingham were still prepared to shell out a substantial fee for Madden mid-way through the 1937/38 season. His time with Birmingham was similarly ineffectual and he is worthy only of mention as the scorer of two goals in a 1939 FA Cup tie against Everton which drew St. Andrew’s’ biggest ever crowd. 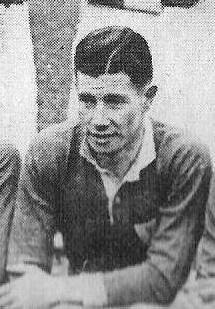 Madden returned to his native Cork in May 1939, playing initially with Cork City and then, with great success, for the “reformed” Cork United. His best season was 1941/42 when he helped United to a League and Cup “Double”, scoring 14 League goals in the process. When United folded in October 1948 he joined the “new” Cork Athletic club, who were elected to the League of Ireland in United’s place. He was appointed Athletic’s manager in 1953. In essence, Madden’s career saw him turn out for three different Cork-based clubs, Cork/Cork City (which was a simple name change), Cork United and Cork Athletic, though each club was essentially a necessary evolution of the previous one. * some sources credit the third Irish goal to Jimmy Dunne.